The Greek island of Paros is a popular summer destination for thousands of tourists every year that are eager to enjoy its spectacular Cycladic beauty. A simple and quiet place in Winter, Paros transforms in to a cosmopolitan and lively Summer paradise right after the Spring comes. We have discovered the top 10 things to do in this small but undeniably gorgeous Greek island. You have not really seen Paros if you haven’t walked the white-washed cobblestone alleys of the Old Town in Naoussa which lead to its picturesque port. A trademark of Paros’ identity and local architecture, these little, narrow maze-like passages may be peaceful and quiet during the hot summer mornings, but as soon as the night comes they team with people and life. Take the opportunity to sit in one of the numerous bars and restaurants that place their tables outside to enjoy the island vibe and indulge into some people-watching. Panagia Ekatontapyliani (Our Lady of a Hundred Doors) is a spectacular 4th century Byzantine Church in the port town of Parikia. It is considered one of the most important sacred sights in Greece as the oldest remaining Byzantine. The legend says that 99 doors have been found in the Church and the 100th will be discovered only when Constantinople is Greek again. The icon of Panagia in the church is considered miraculous. 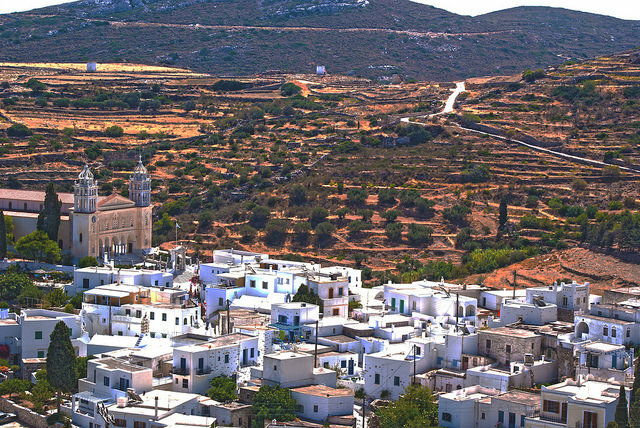 Lefkes is a picturesque mountain village in Paros that is famous for its traditional character. Lefkes had been the first capital of Paros which was built by immigrants from Crete and locals who were looking for protection against pirate attacks. It is built in an amphitheatre shape with many beautiful, neoclassic buildings, quirky little passages and charming ‘hidden’ cafés where you can enjoy the architecture. Lefkes is also known for its tavernas, such as taverna Klarinos, that specialise in delicious grilled meats. The Paros Park deserves a ‘top 10’ article by itself, as there are innumerable reasons why you should visit. The natural, unspoiled rock formations that are a great sample of Cycladic beauty are one. The walking paths that introduce you to the beautiful nature on the island all year round are another. If you visit during the summer you should definitely have a swim at the gorgeous beach of Monastiri (AiYannis), or watch a film for free under the stars at the open movie theater Cine Enastron. 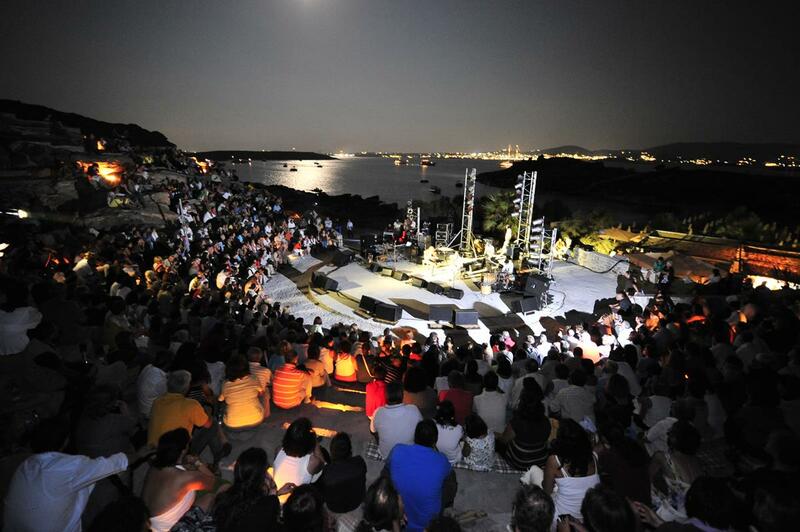 During the yearly festival of the Park (June-October) a number of jazz, classical music and traditional Greek concerts and fascinating cultural events also take place. The Cycladic monastery of Ai Yiannis Detis and the Museum of the Park with the permanent historic exhibition ‘The Island of Paros through the Russian cartography 1770-1774’ are also well worth a visit. This little corner café-bar in Naoussa has a big reputation for its unbeatable cocktails at night and the most healthy yet tasty breakfasts in the mornings. Sousouro uses super fresh fruits and power foods imaginatively to create organic dishes and feel-good smoothies and shakes. Its location in the corner of two traditional alleys make it an ideal spot to enjoy the night life and the vibe of Naoussa. Paros has a long tradition as an island that is ideal for water sports. The Windsurfing World Championship was held for many years at the Golden Beach and still attracts lovers of the sport. Sports like surfing, windsurfing and kitesurfing, kayaking and canoeing, kiteboarding, waterskiing, jetskiing, and scuba diving are available with certified trainers at beaches like Golden Beach, New Golden Beach and Santa Maria. The port town of Parikia is a charming, traditional settlement with beautiful cobblestone alleys, white washed houses and countless attractive little shops and cafés. The boutiques in Parikia offer great shopping opportunities with famous brands and popular clothes and accessories collections. The traditional shops that sell local art, Greek style jewellery by talented artists, and various imaginative souvenirs are also worth exploring. This meditation centre and wellness retreat near the town of Naoussa is the perfect escape from the stresses of modern life. Tao’s Center offers courses in meditation and Buddhism, Yoga and Pilates, as well as various treatments, massages and personal counselling sessions. Drop in classes are available for those who would not like to sign up for a long stay. There is also a great Thai restaurant in the premises.